Love is an action. When God calls people to love, God doesn’t call people to just think about it or have meetings about it. Instead, Love Does. We created a new Love Does Team that is organized around these beliefs. 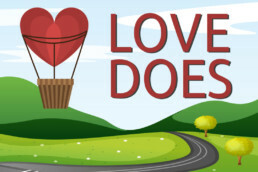 Love Does - More action, less planning. Love as relationally as possible - When possible, learn names, hear stories, and continue relationships. Love the way they need - Be responsive to need and always recognize their God given dignity. Love is whimsical - Surprise people with the extra mile and a brighter smile. We would love to have you be part of God’s plan to extend Love throughout the world. Email Office@LifeBridgeKC.org to join the fun. 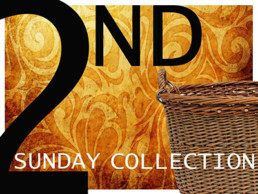 The Second Sunday of each month is dedicated to bringing items for the local food pantries. God cares about our bodies so we help provide nourishment. Check back soon for some pictures of our most recent collection for the DeSoto Food Pantry. LifeBridge has begun helping with a clothing giveaway at Metropolitan Avenue United Methodist Church. This ministry helps the population in the Argentine area who mostly speak English as a second language. Part of the church and the community is a population of 100 Congolese immigrants. LifeBridge takes part in this month clothing closet on the First Saturday of the month from 8:30 – 11:30 AM. Text us as 913-278-1114 with any questions or to tell us that you will be there to help. LifeBridge has given to the Special Olympics, KVC Foster Care, Operation Christmas Child, Shawnee Community Services as well as delivering Valentine’s Day Cards to a local nursing home. LifeBridge has collected tickets and spending money for local families in need to attend Royals Games so they can be part of the fun, too. We list these to give you some ideas for ways you can put love into action, and we are always open to new ideas!